Celebrate a Bachelorette Party in Seville! 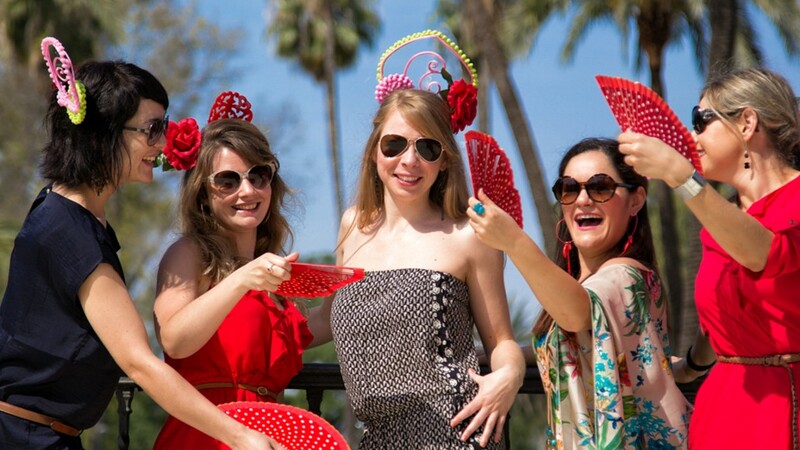 Planning to celebrate a Bachelorette Party in Seville? This is a wonderful city for this kind of events, and you will find a lot of things to do and experience during the time you and your friends spend here. 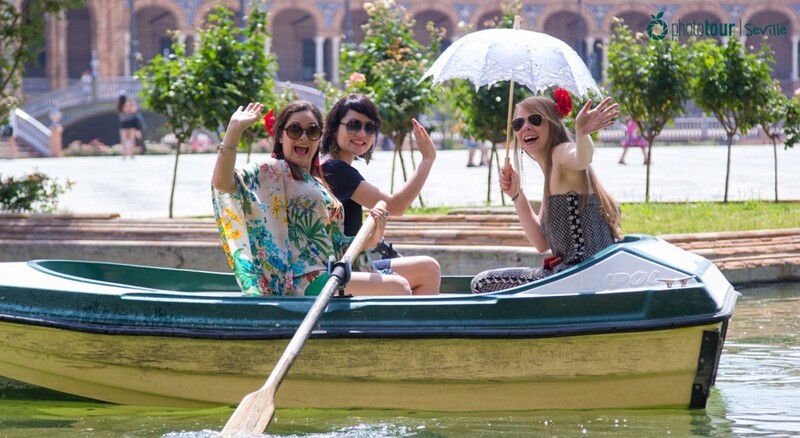 How about if you immortalize the Bachelorette party with Seville Photo Tour and get an unforgettable memory of your experience? We will do that for you! That´s what Catalina & friends should think when they were preparing the surprise to Xaxa. This lovely group of friends from Barcelona decided to celebrate Xaxa´s Bachelorette Party in Seville. They were looking for a warm, charming and a traditional place in the south of Spain. And the choice was the capital of Andalusia. This city offers all that a visitor can ask for a nice trip: history, good environment, delicious food and omnipresent sun. These were enough ingredients to choose Seville, and they thought it was the perfect place to celebrate a fun and amazing Bachelorette Party. But they needed to immortalize such an important moment. So Catalina and her friends started to look for a company that could save the best moments of their celebration. And they found us! Seville Photo Tour is a tourism company with an experienced crew of photographers, committed to capture the best moments of the visitors in order to give them an unforgettable album of their experience in Seville. Charming, natural, spontaneous… our photos reflect the best moments of the visitors interacting each other while they discover all the things to do in Seville. Seville Photo Tour doesn´t offer just photo tours for Bachelorette parties, but Declarations of Love, Marriage Proposals, Birthday Celebrations, and much more. Do you already know our services? Chek them out! Our goal is to save your special moments and to give you a beautiful memory of your experience in Seville. 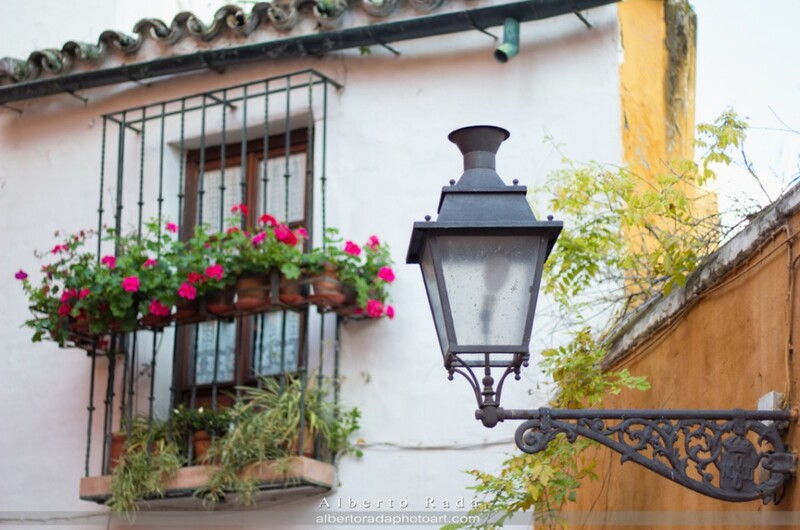 Take advantage and immortalize your experience with Seville Photo Tour! Contact us to book your Photo Tour!